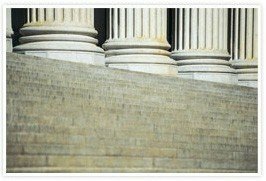 We Practice in Many Areas of Law | Platt & Westby, P.C. As our world becomes more complex, the legal needs of the average individual, family or small business become more diverse and are often interconnected. Our attorneys at the law office of Platt & Westby, P.C., offer residents of Phoenix, Arizona, and the surrounding communities, experienced legal representation in a wide variety of legal matters. We provide advice and counsel in nearly every core legal area related to the descriptions included below. We take a proactive approach and lead with client care. Contact us today to learn more about the services we offer, or to schedule a complimentary appointment. Collections Law: We handle all personal and professional debt collections. From collecting on payment for a job you completed, to collecting on child support obligations. Our attorneys are well versed in the subtlety yet persistence needed to handle these matters. For your convenience, we serve clients in six locations in the Phoenix area. We invite you to schedule an appointment for legal representation with one of our experienced attorneys at Platt & Westby, P.C. Contact us online or call 602-277-4441. If you have a legal question, contact us.We can help.